I will talk a little about words that capture and how I share my articles up. I have previously talked a little about the words that search engines helps you find and how you can use them in your context online. When I write an article so, it is usually my message that I want you to get hold. Sometimes it is also just important to write what you feel and think. Especially when writing on a blog roll. Your reader’s first returnees would also like to know you as a writer. I am aware that some niches are more suitable for you to write much about yourself and your use of exactly what your niche is. Of course, I think that it is important you stick within your niche. But you are sometimes not doing a review or write about a keyword. You can later customize your text and headlines to fit what we others could look for online. Remember we are all on the net be entertained or get information. When you go to my website, then there are some things that I want you to do, for clicks on some internal link. As directs you further in the text to some pages or articles that are on my mind that you read. Here you may want to use some of the words which I call power words. What I mean here that some words and phrases have a greater impact on your readers. Can I help you get written real context? As I’ve written previously so, I also have a Danish WordPress group where several of the members find it difficult to overcome the barrier as it apparently is when you begin to write. I also feel you that it can be a hurdle to get started and get ideas for what to write. But where we can all take a great advantage when we need to start writing is when we can put words in and create a template. Here are several ways you can create a template. I want in my use my next to among other things discuss Hangout to talk about LSI keywords. I would combine it with the long sentences that Google also wants you to search and-and use in your context. They are just a combination of the words that we use in the organic search. They usually tend to be seen if you search the phrase. I usually just split them up, so I get some small points in my text. We all have our way of working. But when you go after and find these words (LSI keywords) then go after them as others seek. Some of you will probably use them in your headlines and then fill a significantly smaller amount of text. Here it can be both a product review or just an informative book like this. I have created a template, so it will not be so confusing. Many think it works when you do not have a rhythm or any idea how to go about it. Let’s get started and let me give you some points that I follow when I write an article. 1: What should the article be. I think a bit about what the overall topic should be. Then I think of the word that is most telling of the subject. It may well be a review here I use the product name as the word I would write my review. I often question what is and so the product as my main headline. 2: If I want to write a political article I use Google soup technique and ubbersurgest to find both headlines and topics to write . 2 of the words that I have used so far is Google and online. Just the 2 gives me a lot of things I can further write. If I have to write a review as I have my template that I have created earlier or more or less borrowed and even modified it to work on my own. Here I use the real product and the website as it comes from in my judgment. Sometimes it’s as good as I buy the product and write about it. Other times I just take the test period and test it if it possibly is a tool I can use for later. But I take great care not just to buy something where I can not get my money back if it does not work as I think it does. Many times you smoke directly on to a lot of sales. It is here where I can measure whether it is a right or wrong product. If I meet additional sales so I can use it must review also. But as I said, I have a template where I first wrote about it, what is good and bad, who can take advantage of it. Is there support and training. And of course, the price is reasonable. I give you my overall rating and whether it is a genuine product or not. 3: a social article that I use related words and using them to break the text up into smaller chunks. For a review, I use just my template and write loosely on what I experience with the product. 4: When I started a new article then I think a little over whom the article directed. This article would like to turn the time and would like to with writing but, for some reason find it difficult to find the first word. If I write about a product, then I hope that my experience can help you make a decision whether it is you need to buy. 5: I think about the purpose of the article. What is it that I want you to do when you are on my side. I would like the author of my articles the most like to have you as a reader feel both informed but also entertained the text. My goal is, in the end that you want to act on what I have written. 6: Above me to appear as expert every time. I hope that you will contribute your position on the topic. I therefore also think it is important to ask questions about your location in the text itself. 7: I will as I said like you to spend some more time on my side. I’m not saying you can do this with the first article. But I know how important it is that you link to other relevant text in your collection. I read even one article to learn and expand my knowledge. Something I like it when the author guides me around on his side so I can get so much out of it as possible. So a piece of advice from me is that you must create links to your pages and articles. Let them become a natural part of your entire website. 8: You have your information from somewhere if it is an authority’s side it is also a good idea to link directly to your source. But what I do not like so much about is if you only link away from your site through advertising or affiliate link. Affiliate link is ok as long as they are relevant to the text. They for use in your ratings. 9: Using images in the book. Remember we are on the Internet and there is nothing more annoying than reading an article which contains no images. Find some relevant images by either taking them or downloading them on some of the pages where it’s okay that you take a picture and edit it and use it. 10: share your text up, so it appears in smaller bites the more headings and subheadings the better. A text line that to great blocks are not very pleasant to read, for me, it’s going to be very confusing. How have I not with a book. But an article I think should be easy to grasp, so I can easily find out what it’s all about just by reading the headlines. 11: With most of the articles that you have an intention of where you want to I land as a reader. Remember to get me in the direction you want the I land. It could, for example, be a review of a product you want that I read. It may also be something else entirely. But it is important that you send me there, so I do not have to guess how to get to your goal. 12: Find a real rhythm where you get written something every day. I use a stopwatch, so I write a minimum of 20 minutes every day. Is important, for the easiest is to read and watch the video. So write every day, it would certainly in the long term give you some rhythms and better writing skills. If one day I will come to jump cut corners so I have unfortunately a little hard to get started again. 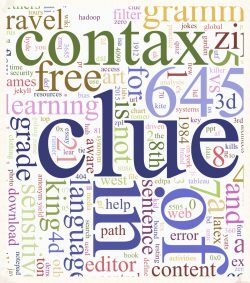 Here is just a narrow selection of the things that I think is important when you want to have created the text for your articles. For me, writing is not a natural thing for some years ago. 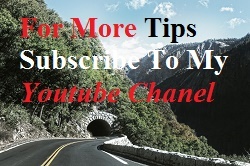 Now I just created some habits that make me slowly been better at creating my articles after I found some places online where can get my information which should be the reason for it as I write. It is very easy for it as I do is give myself a time frame for how long I have to write and when to write. Yes, I put quite only a stopwatch and a time each day. I think best in the morning before I go out the door. By putting a stopwatch, I found out that I am much more efficient than if I do not have time to start and finish my work. There are a lot of procrastination that both you and I can make before thinking to start to write. Our modifications are clearly a pitfall along with our analysis of our traffic. Therefore, it is more important to do a real time research and then have a deadline for when and where you must finish the job it is to create an article. Or a page. My inspiration for this article comes from Forbes, which very often comes to some good articles that I feel gives me inspiration to my context. If you have would like to know how you are going to build a website, then I recommend that you read where I have spent almost three years to make it here and some other smaller sites. It takes only 3 minutes to get a website. But it takes a long time to build it up with context and images. Why do you need a plan and a place where your pages can be safe. If you feel a little crowded with information possible on the other hand, it is quite natural. For there are endless which you can consider. But most of all about context and context is also what you have encountered in this article. Take a look at what and where and check it out for free. Yes, you heard right, you get your website along with ten lessons that help you with the first steps. But are you aware and very curious so use the first week to look as much as you can handle? To then make a decision whether you want to put your time and your efforts on getting these skills. Remember I stand ready on the other hand to help you further. To learn more about how I work with my context, please email me below. This is a very detailed article that helps people to know and think of what to write. I agree that we cannot write aimlessly. We must know who the targeted audiences are, especially so if your website is targeted at a particular group of people with a certain need. A website is to help people gain knowledge, it is good to be specific so that people will recognize your webpage for you to gain additional exposure. 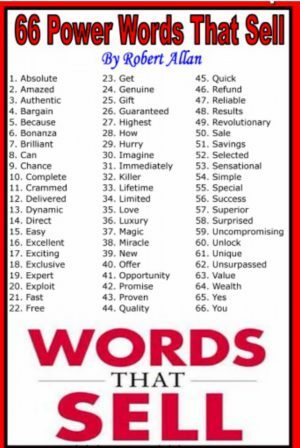 I particularly like your 66 power words that sell. I am amazed myself! Yes you are right in that it comes to helping not sell. But you must also help people to make a decision and guide them to the page that you think is the most important on your page. Here is the list of power words help. But you must remember that it is always your readers it is all about. If you give them valuable information they can use and we will also return to read more of what you write.